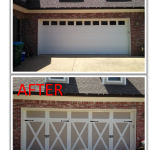 How to Increase Your Home’s Value in a Flash - Overhead Garage Doors by Doorways, Inc.
How does an extra 1-4% in value sound to you? 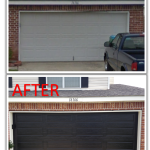 By replacing your garage door, this is possible, per a nationwide study by Stratamark Research. 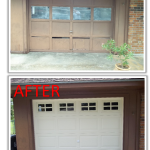 Many people think that the garage door is considered part of the background of a home, which couldn’t be further from the truth. 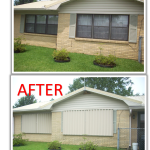 Differentiating your home’s front façade from the rest of the neighborhood can make all the difference in the world in a tough housing market, & it is guaranteed to give the Jones’ something to talk about! 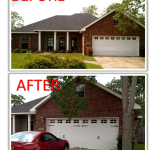 71% of homeowners surveyed believed that their door replacement increased their home’s value. 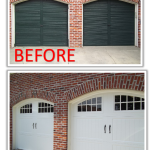 Nationwide real estate agents were shown “before” and “after” photos of houses upgraded with new, stylish garage doors. 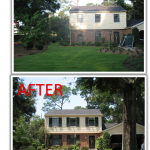 The list price of the home was increased as much as 4 percent. 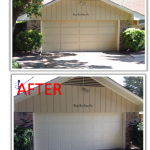 That means a $1800+ investment in a new garage door could raise the sale value of your home by as much as $6,000 if you’re selling a $150,000 home! 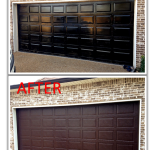 Typical installation time can run from 2-5 hours, professionally installed. 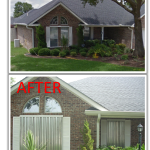 There are many factors taken into consideration as far as materials, sizes, styles, finishes, & if needed – wind or insulation ratings. 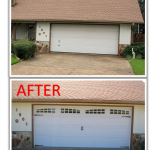 A relatively small percentage of Americans use their garages to park their vehicles, so if you are using it as an extra bedroom, an insulated door may be the right fit. Due to a surge in innovation, there are many options available today that weren’t 10 yrs ago. 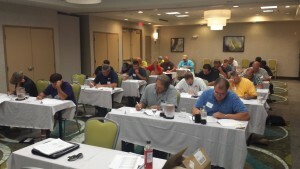 Prices start around $500, and can reach several thousand dollars. 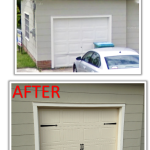 We do not recommend that you install the door yourself, as it may not be installed within code compliance, may be unsafe, or void the manufacturer’s warranty. No worries! That’s what your local professionals are for. 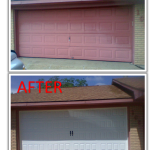 Feel free to come and see some of our literature and material samples, or call to schedule an estimate. 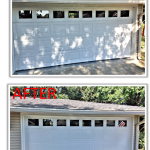 With its rugged reliability and exceptional all-around performance, the 8365 1/2 HP AC Chain Drive Garage Door Opener is the perfect choice if you want enhanced style, reliability, and the performance attributes of our best-selling drive system ever. It includes 2 remote controls and a keyless entry along with the standard inside wall control and safety sensors. No one likes coming home to a dark house. 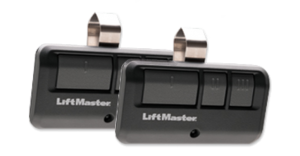 With 2 FREE Remote Light Controls and your new LiftMaster Garage Door Opener, you’ll be able to control home lighting right from your smartphone — now there’s always a light on when you arrive home. 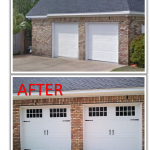 Plus, if you purchase Garage Door Opener Models 8550W, 8587W, 8557W, 8360W, and 8355W by 2/28/17, we’ll sweeten the offer even more with a FREE Garage Door and Gate Monitor. 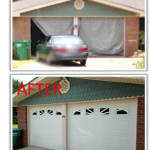 It alerts you when you left your garage door or gate open and lets you close it from inside your home. 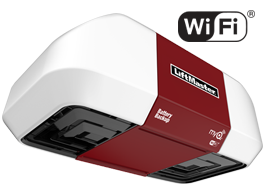 The all new 8550W Belt drive opener from Liftmaster now features built in Wi-Fi eliminating the need for extra devices. The system is very simple to connect to your home’s Wi-Fi and the App is free for iPhone and Android users. 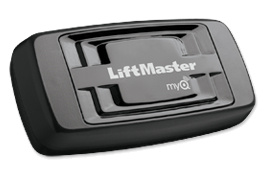 Control your garage door from anywhere using the secure App on your smartphone or on the Liftmaster website. Know when your door is left open and close it with a swipe of your finger. This model also features an included back up battery, a smart wall control with digital display and the new Timer-To-Close features. The Timer-To-Close can be set to automatically close your door for you after 1-5 minutes so you never have to worry about forgetting to close your door again. 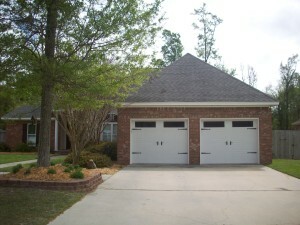 Contact our office for pricing on this model. 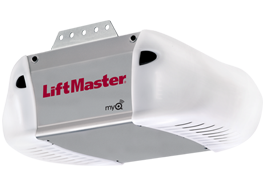 Now, any Chamberlain, Craftsman, and LiftMaster® garage door opener manufactured since 1998 can be controlled with your smartphone, tablet or computer thanks to the new 888LM MyQ® Control Panel and the 828LM LiftMaster® Internet Gateway. The new 888LM control panel takes the place of your old wall console adding new MyQ technology. 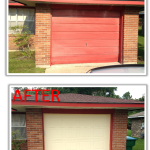 After pairing the system with the 888LM control and registering the free smartphone app you will be able to control your garage door from anywhere. The free secure app will send text alerts to your smart phone when the door opens and closes and allows you full control of the door from wherever you are located. 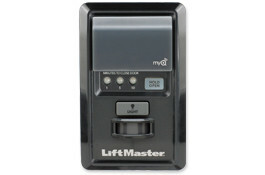 If you don’t have a smart phone, Liftmaster also offers control through www.myliftmaster.com through any web browser. This upgrade kit is very simple to set up even if you are not familiar with networking. Check out some of the other MyQ products that are compatible with this system. 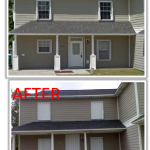 Here are some before and after shots of some of our installs both doors and shutters.